The furnace is lit with a small firelighter cube and some lumpwood charcoal. It burns with a flame for about ten minutes with a little bit of smoke, but after that the flame goes out and it’s totally smoke-free. 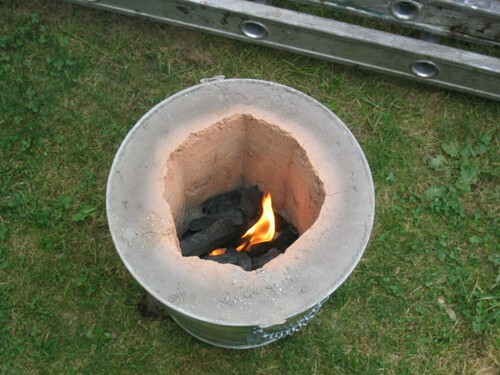 The furnace is a steel bucket with a refractory lining. It has been fired once before, and the vitrified lining is now pinkish.